There are a lot of cool things going on sale TOMORROW, November 20!! AND you don't want to miss out. 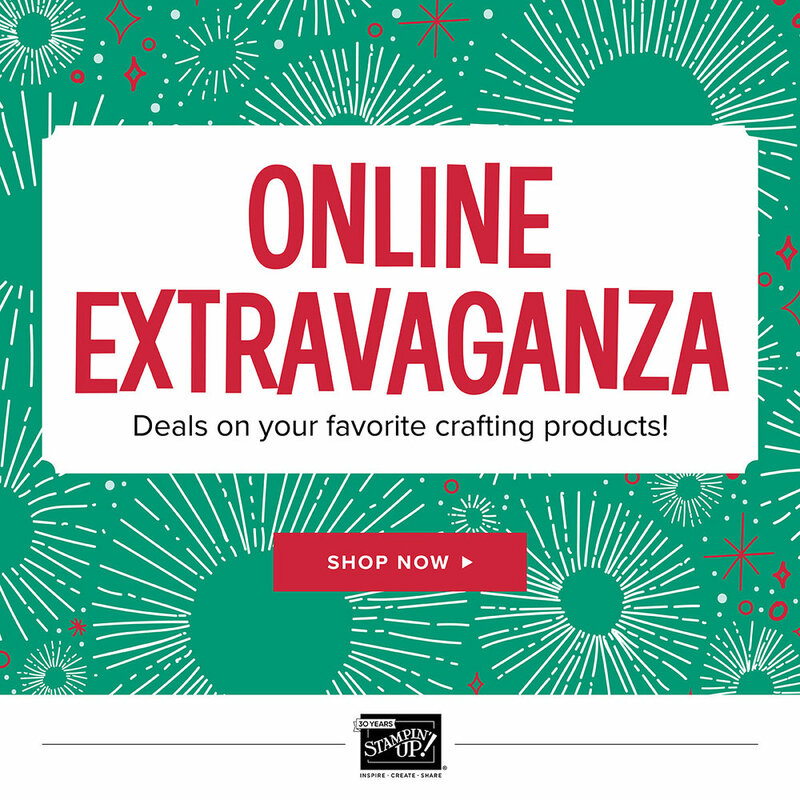 Click HERE and start shopping!!! I mean, I don't mean to seem bossy, but I really don't want you to miss out on all these great deals. This post is short & sweet and too the point tonight. Part of the reason for brevity is what went down on Saturday during Open Studio! If you haven't seen video I posted on Saturday evening. Check it out on the FB page! I will also post the pdf of the Sale items. There is a 24 hour sale, then a separate sale for the rest of the week. Hostess code for this sale is: E6UVM9KC. It will close at the end of this 24 hour sale. Laura's lovely finished card! It's really beautiful and all of her recipients have a true treat in store this season! When you see the video, you'll understand why this post is a little shorter than usual...literally, I have achy arms, from my shoulder to my fingers. I am going to be doing some serious maintenance work to my TWO BigShot machines. They have gotten so much use over the years, I was having a *little* bit of trouble. However, by the end of the day, I had figured out my problem and was able to cut the last 20 snowflakes MUCH quicker and easier. This was operator neglect of a BigShot machine...and does NOT reflect the AWESOMENESS of this tool for your crafting needs!!!! However, I must add, PLEASE CONSULT ME BEFORE YOU PURCHASE ITEMS TO MAKE 200 or more items in a paper project. My service as a demonstrator is free....USE IT :) Happy Thanksgiving WEEK!